Questions about Stoneman Taurista? Give us a call: +43 6457 2929! The Stoneman Taurista takes you past lush alpine meadows, rustic mountain huts and the summit crosses of the Salzburger Land. A ride of 123 kilometers with an enormous 4,500 meters of altitude gain and breathtaking panoramas. Am 07. 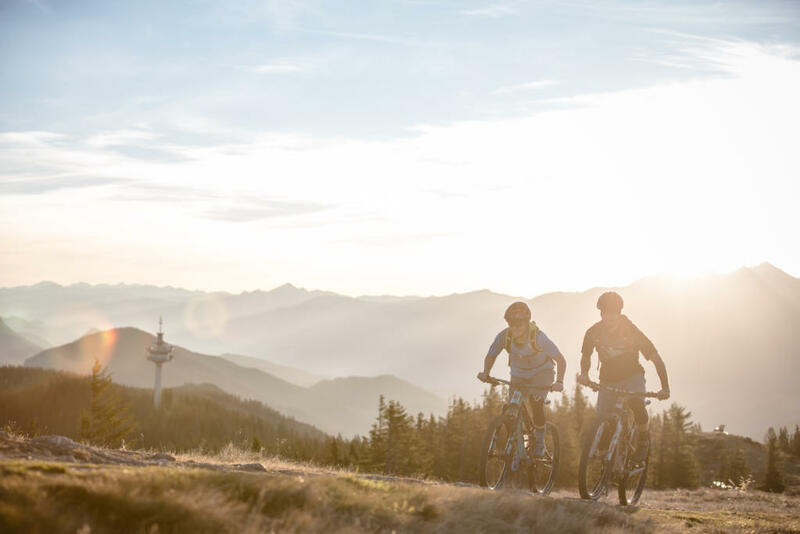 Juni 2019 (Pfingsten) beginnt die Stoneman Taurista Mountainbike-Saison 2019! 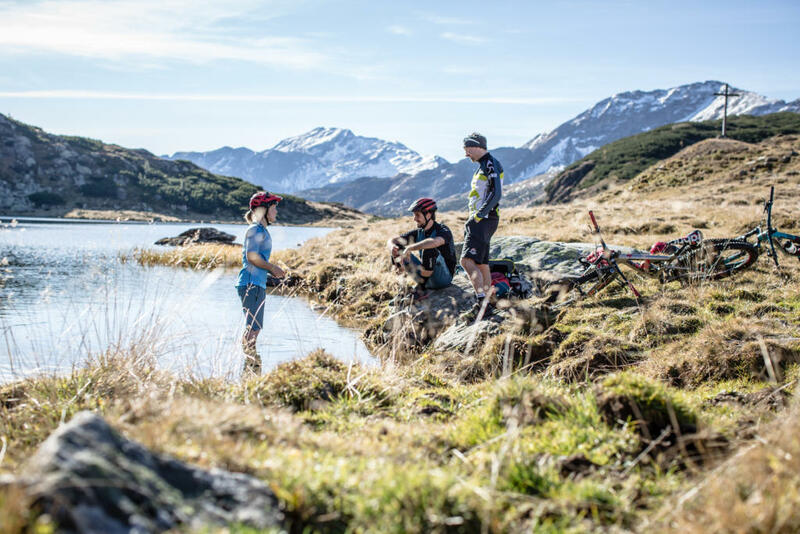 4,500 meters altitude gain, 360° Alps: The Stoneman Taurista is Roland Stauder's exclusive mountain bike experience in Austria. 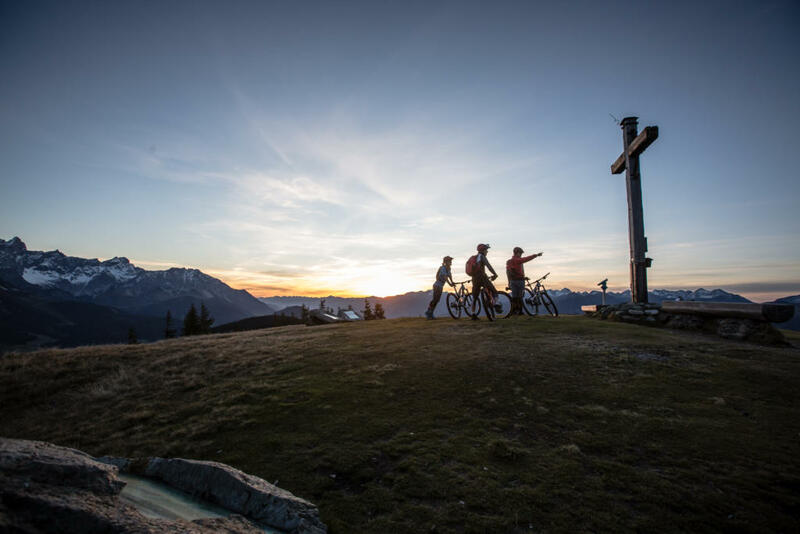 The impressive mountain scenery around Flachau, Wagrain-Kleinarl, Altenmarkt-Zauchensee, Radstadt, Forstau and Obertauern forms the backdrop for this extraordinary mountain bike adventure. In three balanced stages, we cross the Grießenkareck and continue through the bike park to Wagrain. Then the 1,768-meter-high Rossbrand Mountain lures us in. An amazing panoramic view over 150 striking Alpine peaks - such as the Dachstein, Bischofsmütze and the Hohe Tauern with Großglockner - is the reward. Continuing south, the Stoneman Taurista passes the alpine pasture idyl of the Oberhütte. 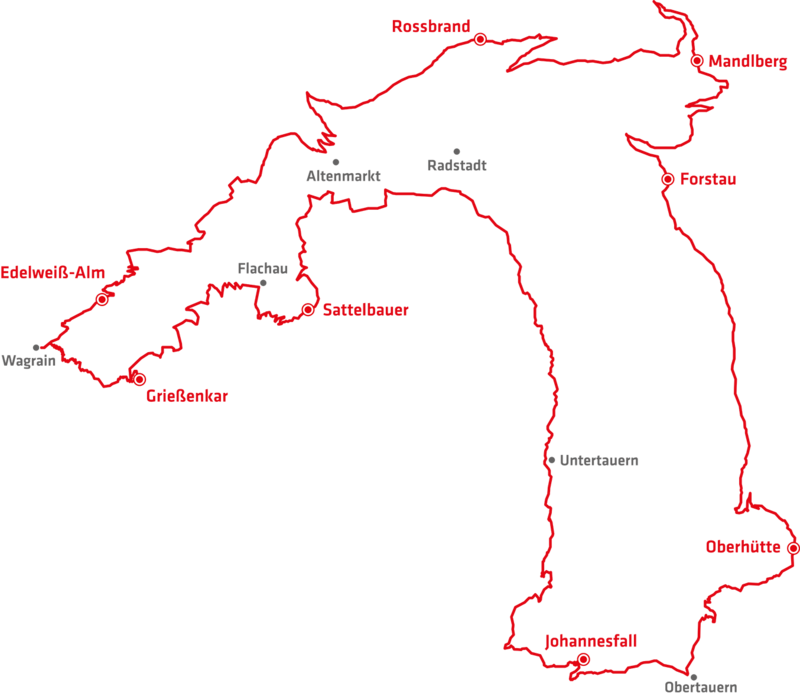 Over the 2,110 meter high Königsanstieg (King's Ascent) the route leads through the winter sports mecca of Obertauern and back to the valley towns of the Salzburger Sportwelt. Questions about your Stoneman Taurista mountain bike experience? contact us – via Facebook, via e-mail or telephone. Stoneman Taurista: Where the mountain calls and the mountain bike grooves!